Sadly, it’s not June yet. Training camp seems forever away, especially coming off a disappointing season. One of the things fans love is off-season discussion about what lies ahead. Who is back next year for sure? Which holes need to be filled? Which positions need to be addressed via free agency, trade, or the draft? It’s colloquially known as ‘The Silly Season’, but it’s also a fantastic chance to put pen to paper and figure out what the depth chart looks like at this early stage of the off-season. Argonauts.ca would like to help you out in your discussions. Sometimes it’s tough to find out what a player’s contract status is. Over the course of two columns a positional breakdown will examine who is under contract, and who is staring at free agency. Today we start with the offence. With a new head coach at the helm, one would assume the QB-1 job is wide open. James Franklin returns after what would have to be termed a disappointing season overall, punctuated by some moments that highlighted there’s still a ton of potential. 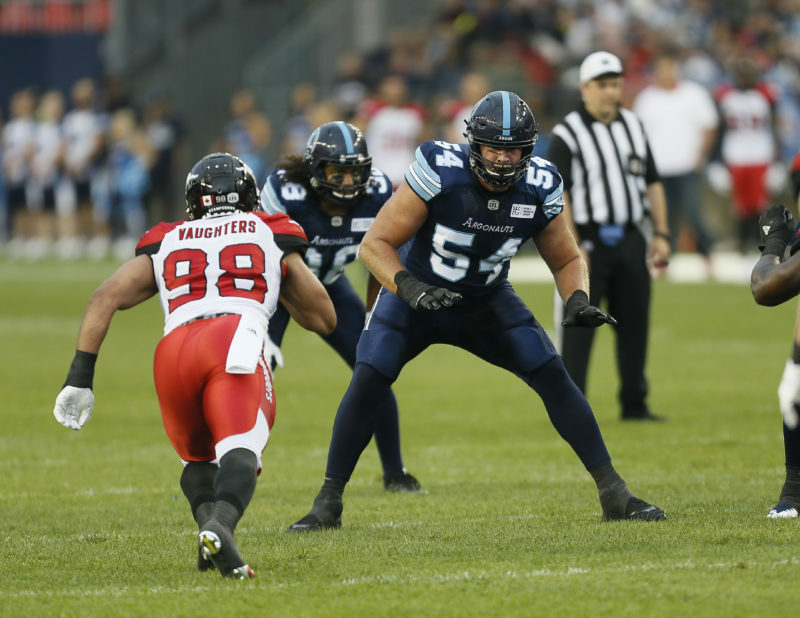 The first-year Argo took over the starting job after Ricky Ray was injured in the second game of the season. In his first start Franklin led the Argos to a 20-17 win over his former team, the Edmonton Eskimos. The Missouri product led the Boatmen on a 12-play, 75-yard game-winning drive, then iced the game with a drive that lasted over two minutes to run out the clock. 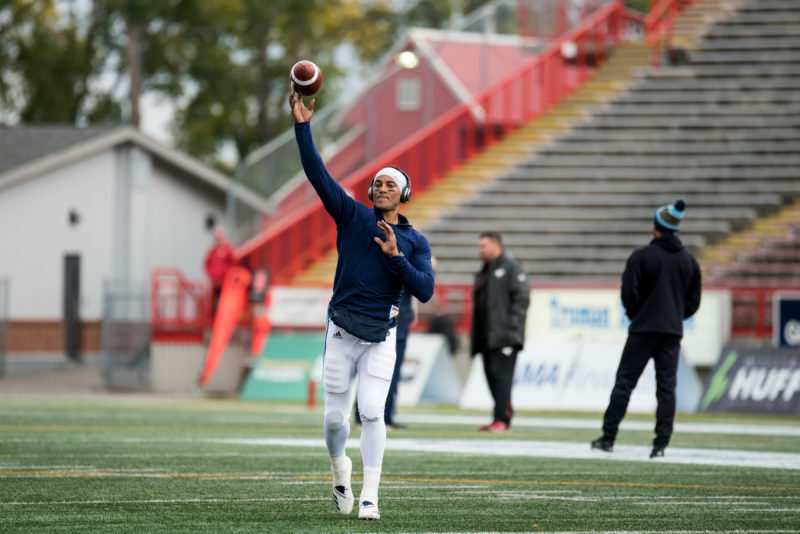 Franklin had a rough go of it after that, losing games against Edmonton and back-to-back contests to Winnipeg and was replaced as the starter by McLeod Bethel-Thompson. Franklin later replaced M B-T in the fourth quarter of a game in B.C. and passed for 103 yards and a pair of TDs, perhaps providing a glimpse into the future. He also set the Argos all-time record for rushing touchdowns in one season with 14, in the process tying Doug Flutie’s CFL record for most rushing TDs by a quarterback in one year. Bethel-Thompson is also under contract. Much like Franklin, the Sacramento State product had an inconsistent season with moments of brilliance. In his first start on August 2nd, Bethel-Thompson orchestrated a remarkable comeback against Ottawa. 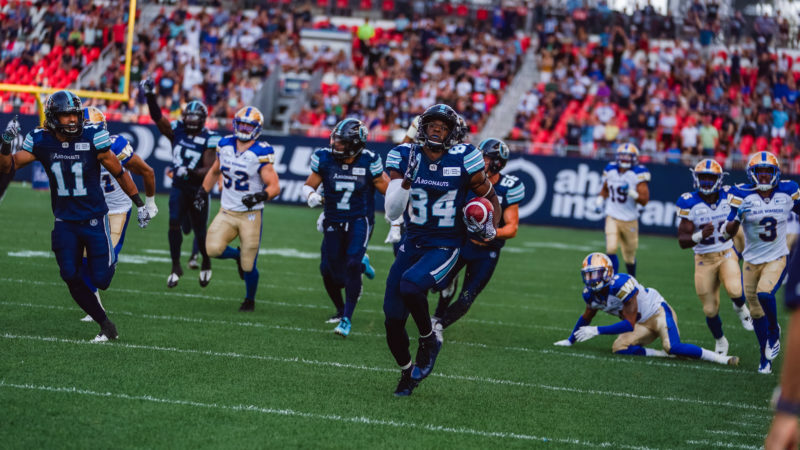 Down 38-14 late in the third quarter, the Argos came all the way back, winning the game 42-41 on a 23-yard touchdown catch by Armanti Edwards with just one second left. “MacBeth” would also lead the Argos to a win in his second start, before eventually replaced by Franklin several starts later in Vancouver. Perhaps the biggest question mark surrounding the Argos is the status of Ricky Ray. The man who led the Argos to Grey Cup championships in 2012 and 2017 saw his season end after just two games last year, suffering a serious neck injury. The 39-yard old is at home in Northern California mulling over his future. He’s eligible for free agency. Dakota Prukop was the Argos third-string QB for most of the season and could become a free agent in February. There’s work to be done here, either re-signing some potential free agents, or finding players to come in and fill any void. The good news is that Nationals Chris Van Zeyl and Sean McEwen are both under contract for 2019. 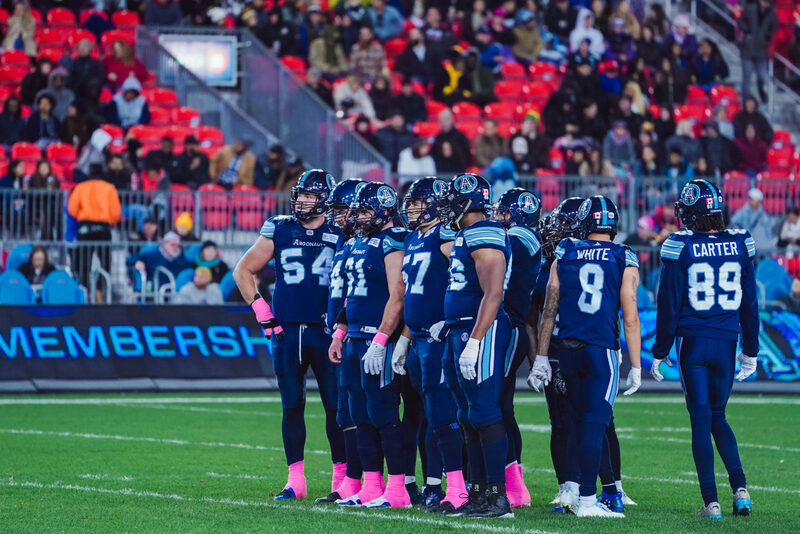 Van Zeyl, the right tackle and an 11-year veteran, is the leader of the group and was named an all-star this year, while McEwen, the centre who just completed his third season in Toronto, was named the Argos Most Outstanding Offensive Lineman and Most Outstanding Canadian. He was also the East Division’s Most Outstanding Offensive Lineman in 2017. The positions to watch are on the inside as left guard Tyler Holmes and right guard Ryan Bomben, an all-star this year, are potential free agents. Both are Canadian. Another o-linemen is under contract. Isiah Cage got an opportunity to start at left tackle late in the season and didn’t look out of place. Potential free agents include Nationals Jamal Campbell, Chris Kolankowski, J’Micheal Deane and D.J. Sackey, and International Will Campbell, the usual starter at left tackle. One player to watch in camp is defensive tackle Linden Gaydosh, who re-signed in mid-November. He worked out with the offensive line at practice toward the end of 2017 and the potential of him being able to contribute on either side of the ball adds to his value. 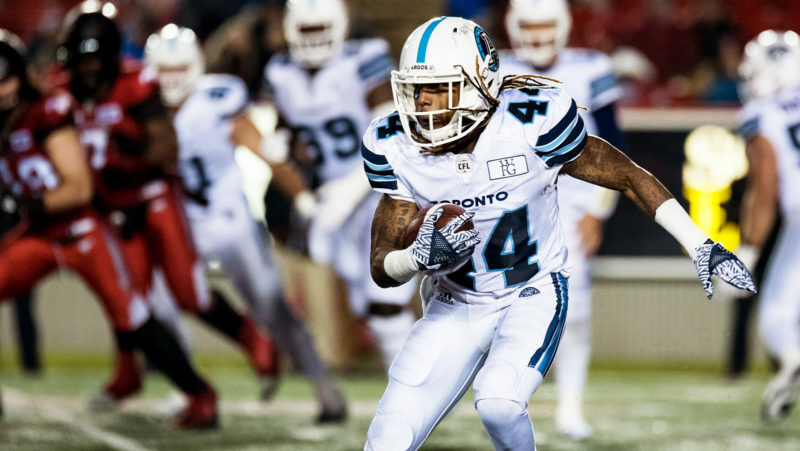 The best news is that the Argos two go-to receivers are both under contract for the 2019 season. S.J. Green and Armanti Edwards will both return, after combining for 156 catches, 2,069 yards and eight touchdowns. Anthony Coombs signed a contract extension in mid-November. When healthy he’s a difference maker, but the Manitoba product has fought injuries in each of the last two seasons, twice being placed on the six-game injury list last season and limited to just two games. The other Canadian talent returns for the most part led by Llevi Noel, who set career highs with 47 catches for 512 yards. Jimmy Ralph and Malcolm Williams will also be back. The Argos are also anxious to get a look at Regis Cibasu, the team’s 2018 third-round draft pick, who had another productive season with the University of Montreal. The lone Canadian free agent receiver is Alex Charette, who was a special teams contributor. Some familiar International receivers will return. Mario Alford, Rodney Smith, Chandler Worthy and Darren Carrington Jr. are all under contract and will have an opportunity to impress during training camp. Kamathi Holsey was signed in late November and will also get a chance to crack the roster. Two significant names will become free agents if they are not re-signed by February 12th. Myles White received more playing time toward the end of the season, finishing with 14 catches. The more intriguing name is that of Duron Carter. Carter arrived in time for the Labour Day Classic, but his integration into the lineup was slow, and he was not targeted often. The main man is back. James Wilder Jr. will no doubt be looking to improve on his numbers from 2017. Wilder missed the final third of the season, and while he didn’t meet his own lofty expectations, was on pace for 956 rushing yards, and another 746 receiving yards. His actual number of 539 receiving yards led all CFL running backs. Brandon Burks is a free agent, as is Travon Van, but the Argos have a veteran backup in Dexter McCluster, who averaged 5.3 yards per rush and 9.3 yards per catch in four games. At fullback, Declan Cross will return for a fourth season in Double Blue. The McMaster product saw his numbers slightly decrease from a year ago, but he still posted 30 catches for 242 yards. He continues to be a tremendous blocker and a vital part of special teams. Simon Gingras-Gagnon was in and out of the lineup in his rookie season and is eligible for free agency. There are enough talented returning players to form a solid core. Someone will have to step up and make the starting quarterback position his. There’s a solid group of both National and International receivers. The running back situation has quality, but could need more depth, while the o-line starts with two key contributors back in the fold. There’s still a lot of time until free agency starts and several of the pending free agents are expected to re-sign with the Argos. Jim Popp and his staff have plenty of time to fill in any blanks on the depth chart, either internally or with newcomers from the U.S.